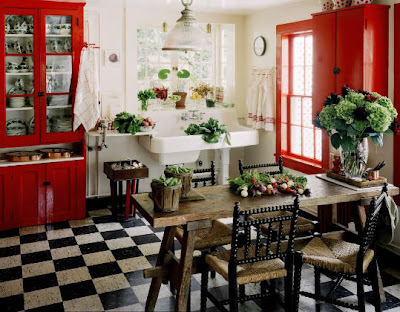 I know...another kitchen with red cabinets. And I tend to loathe heavy use of the color red in decor. But this kitchen is super charming. Farmhouse with sass.